The mask of braking. it allows the hype train to travel forever non-stop. But joking aside, mine would be the Mask of Shapeshifting. So many things I could do, like make duplicates, Shapeshifting into anything and sound like the person/thing, etc. Assuming I haven't, I've always liked the Faxon. Mirus and Kraahkans are up there too. Don't know how I haven't noticed this topic until now. 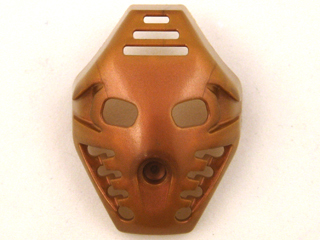 If you ever get to know me you will know that the Gold Pakari is one of my favorite Kanohi. I've also always liked the Vahi and the Krahkaan. I like the Pehkui and the Volitak. The Kakama's great, too. Wait, is the Kualsi in LDD now? Fairly certain that was a stock image from some other place. Dangit. But thanks for letting me know! Definitely the Kakama (in terms of design and power), although the Ignika, Akaku and Komau are also amongst my favourites too. Hey guys it's Gwideon. So I have had this question nagging in my head for a long time so I just wanted to ask what is your favorite kanohi. Mine personally is the kanohi olmak. It's well detailed and gold. It also has a awesome power. Olmak. Mask of ugliness, cheeks, and dimensional gates. 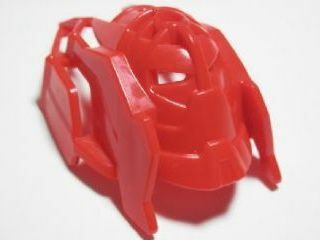 I'm going to say my favorite is the Kanohi Tryna. Matroro could raise the dead... how awesome can you get? Despite every toa considering the Tryna an immoral mask. I'd say the Arthron, not only for it's physical design/look, but Sonar would be an amazing power to have, it also kinda reminds me of Toph or Daredevil a little bit. Aside from that, the Olmak would be my close second. I'd use that sucker every day just to visit new dimensions Also, the Pehkui (Aka the Ant-Man mask) is also pretty cool.